I guess all that work will finally pay off! 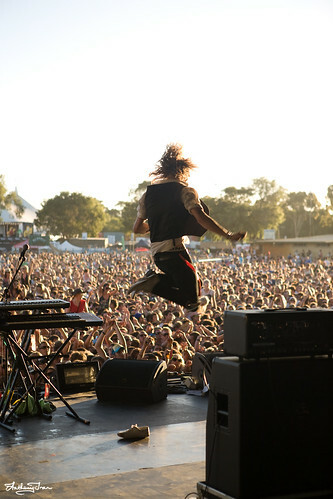 Before the Christmas break last year, I was approached by Sunset Events to be their official photographer for the Southbound Festival down in Busselton. My mate Daniel Wilkins, who normally does Sunset Events’ festival photos wasn’t going to be available for Southbound. I’d really like to say that I have no idea why I was chosen for the job, but that would be far from the truth! I had taken photos at Sunset Events on many occasions for Drum Media and got along very well with their media co-ordinator. He was well aware of my work- something that I’m always oblivious to, which is why it was such a surprise to be asked to shoot Southbound! After a quick chat with him at a media event, I got the immediate impression that I was locked in for the job. The photography brief was quite simply put: “we need a lot of iconic shots”. No pressure, right? Was I up for the job? Of course I was and I was going to try bloody hard to get these “iconic” shots. I was scared shitless. I knew I could do it, but I never knew that THIS was what people wanted. As an aside, I never received any feedback from Virgin Mobile/V Festival about my photos for them last year… were those photos “iconic” enough? Nevertheless, the V Festival was great preparation for what was to come. I was given an Access All Areas (AAA) pass to get those “iconic” photos. This was only the second time I’ve had one of these and the first time (I’m sure) was an accident. I got started at Friday 10am, right after I arrived with Devar and Kitta. I barely saw my camping friends all weekend but that didn’t bother me; it’s how I normally work anyway. The only times I would see them was in the photo pit or in the media room. Though, I bumped into many friends from every era of my life while walking through crowds. Most of them happy to be with me on my photographic journey. I could not believe how much freedom I had. You always feel so constrained when taking photos in front of the stage - three songs, no flash, etc… It was such a relief to be able to shoot almost anything, anytime, anywhere. 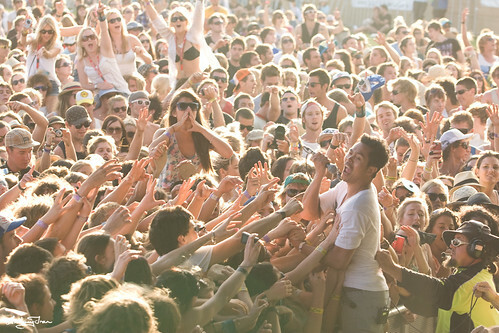 All of the best moments at concerts always happen in the last couple of songs. And I’m so very proud to capture these moments. I did lots of research from Falls Festival, Sunset Sounds and various sideshows from over east, making sure I could capture as many of these moments as I could. On the Sunday morning, the media co-ordinator came into to media room to see how we were going. I asked him if he wanted check the progress on some of my photos. I ended up showing him every single photo. He was completely blown away! A deep sense of self-worth welled inside of me. “You got it spot on, Anthony”, he said. I was ecstatic. He was overwhelmed. I had worked no different to how I normally handle festivals. Coupled with the AAA pass, there was so much stimulus to massage my imagination. 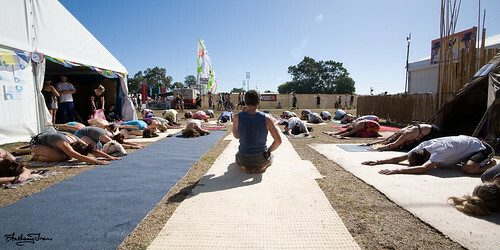 I came away from the media room and wandered the festival grounds, thinking to myself, “This is where I want to be…”. I even got a photo in the Sunday Times! They asked Sunset Events for a few photos. The photo is huge! My first newspaper photo! I got an encouraging comment on Facebook from a great Perth photographer when he spotted the photo. Pity the main article that went with the photo though. 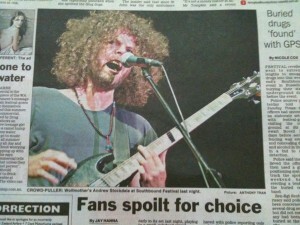 It had a good review of the festival on the same page though! It has never slowed down for me. I can not believe that my photographic journey has always been on the rise. I’ve tried to tell myself to slow down but the inertia, my passion, has always driven me forward. I have been extremely lucky with the opportunities that have arisen. And with these opportunities, I’ve always stepped up and said “Yes”. 2010 will mark a new era for me. I can see big things headed my way. You can view more photos from Southbound on my Flickr Southbound 2010 photo set. Sunset Events will be posting a web gallery of all the photos soon! In the meantime, you can read The Southbound Times mass e-mail. With less then five days until I fly over to Sydney to start off my photographic journey with the V Festival,Â I thought it’d be a good time to actually post a lot of photos up from this year’s festivals. It’s been a long time coming, and I think I have at least one festival to cover every day before my flight! 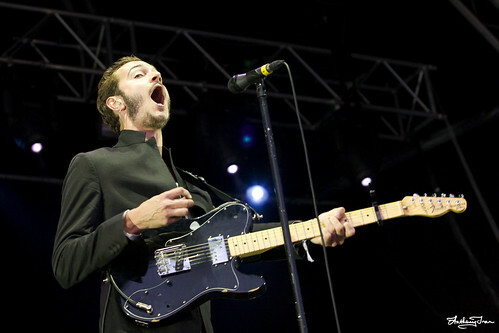 So, let’s start with a HUGE update - photos from this year’s Southbound Festival! 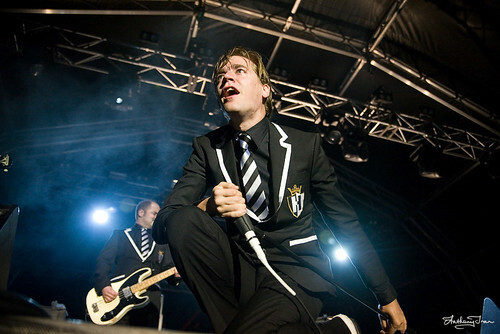 Read on for The Grates, Soko, Santogold, Dash & Will, Lykke Li, Â Eli ‘Paperboy’ Reed, Donovan Frankenreiter, Tegan & Sara,Â Architecture In Helsinki, Mystery Jets, Sharon Jones and the Dap Kings, The KooksÂ and The Cat Empire! 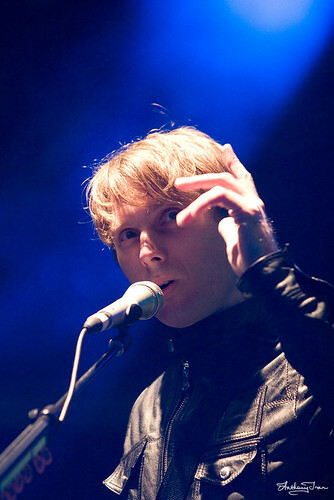 Continued from Southbound Festival 2009 Photos… coming soon! 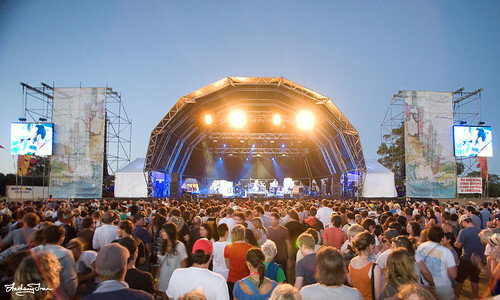 It has been a tradition for the past five years for thousands of concert revellers to take the three-hour road trip south of Perth to Busselton for the Southbound music festival. Always something to look forward to on the first weekend of the New Year. 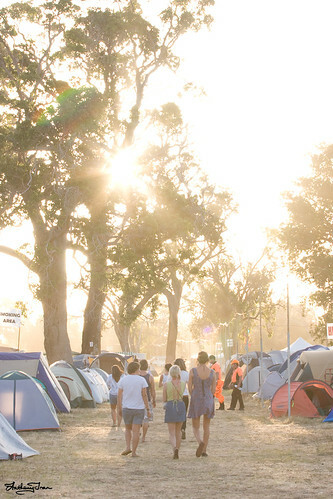 The festival currently attracts more than 20,000 music lovers, so last year organisers added the camping element and this year expanded it to a massive two-day lineup! These photos I share, Because I care. Grab ONLY what you see, And link back to me! Want adjustments made? Only if I get paid. Don't know what to do? Send an email through. Check out the latest gig shots! Theme Originally By: i Web Net - mangled by me!